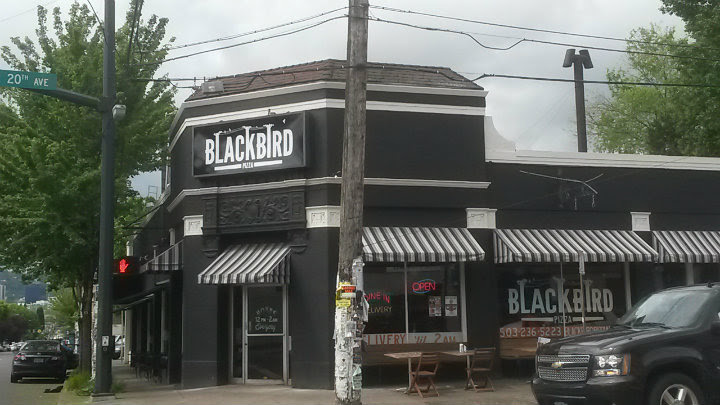 Blackbird Pizza is located at the corner of SE 20th and Hawthorne in Portland, Oregon. Portland Pizza Week (April 18-24) also took me to Blackbird Pizza for the first time. The regular menu contains the usual eats found at pizza places. 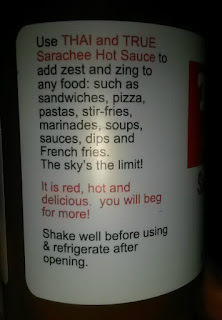 Along with several pizza options, there are the salads, sandwiches, and pastas. For whole pies, you can get a 12" or a 16" size. 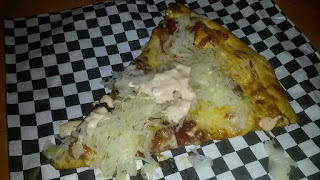 Two of their most interesting specials (to me) were the Chicken Cacciatore and Roasted Shrimp pizzas. For Portland Pizza Week, the special slice was a Reuben Pizza: Deli Mustard base, Pastrami, Swiss, Sauerkraut, and 1000 Island Dressing. 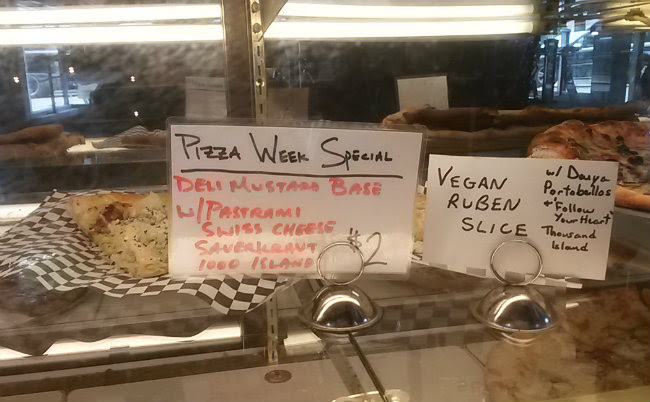 I had eyed this pizza that entire week and was more than happy to stuff my face here. Blackbird Pizza totally nailed it here. 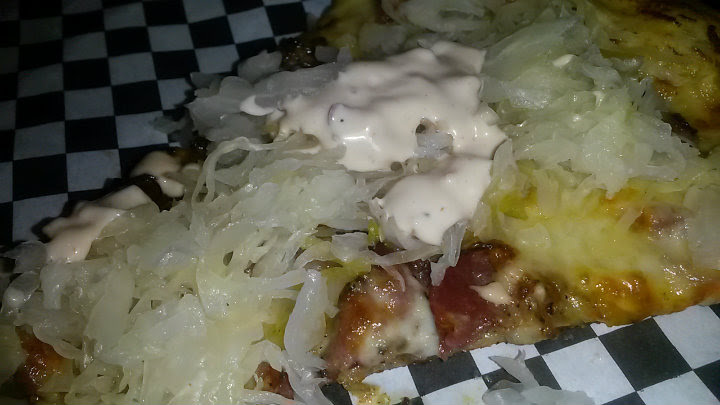 Copious amounts of sauerkraut on top for crunch. Juicy pastrami. 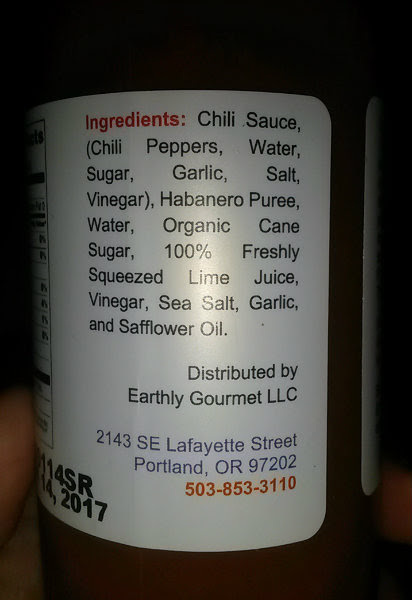 The dressing just brings everything together. 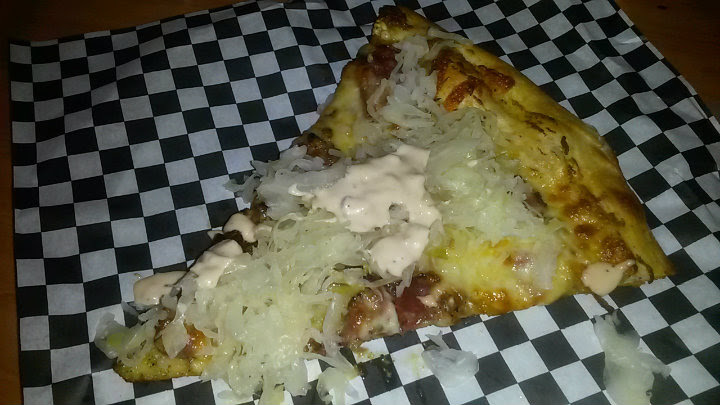 I really felt like I was eating a Reuben sandwich, just in pizza form. Again, outstanding crunchy crust. 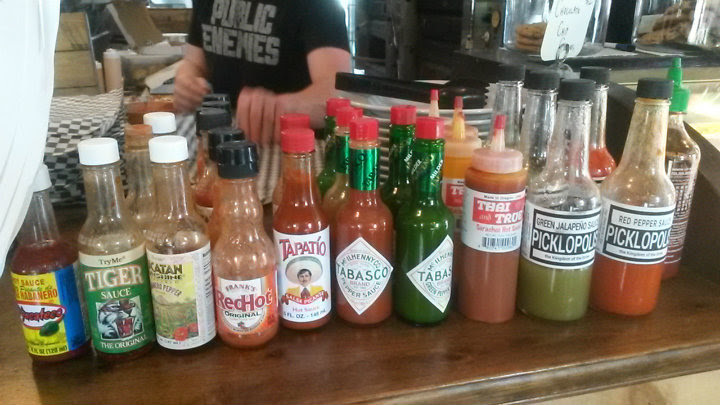 More bonus points for Blackbird, as they had a good selection of hot sauces to choose from. 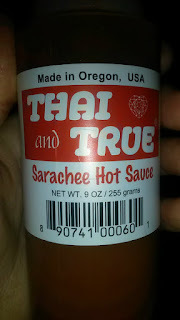 I decided to try the "Thai and True" Sarachee hot sauce, which to me was basically a spicier form of sriracha - and added habaneros to the mix. 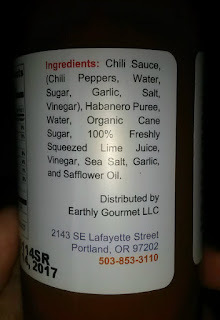 There was no mistaking that habanero flavor. 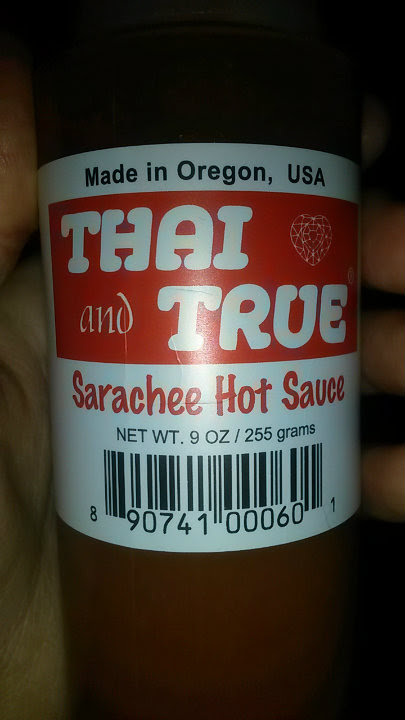 An excellent combination with pizza. Blackbird Pizza is open from noon to 2 AM daily, so there's plenty of time during the day (and night) to get your pizza and alcohol fix. It took a bit longer to get my pizza here (a few minutes, perhaps), but Blackbird was also much busier. Staff was going into overdrive slinging those orders out.